It seems that modern homes are trendy these days. 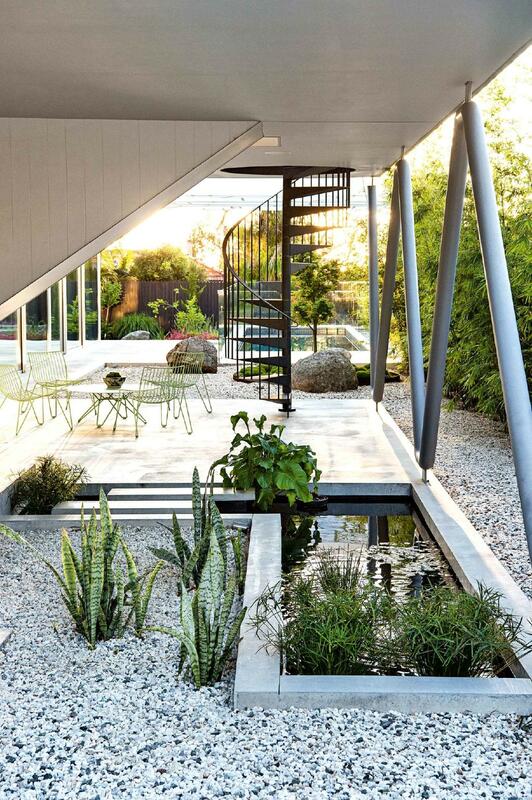 And with modern homes, come equally modern gardens. But what exactly is a modern garden? Modern garden design is the opposite of what you would imagine a bohemian wildlife-friendly garden to look like. Crisp and clean lines are key features which open up space and give it that fresh look. Modern garden designs lean more towards the minimalist, functional and sparse look with emphasis on strong structural and graphic elements. 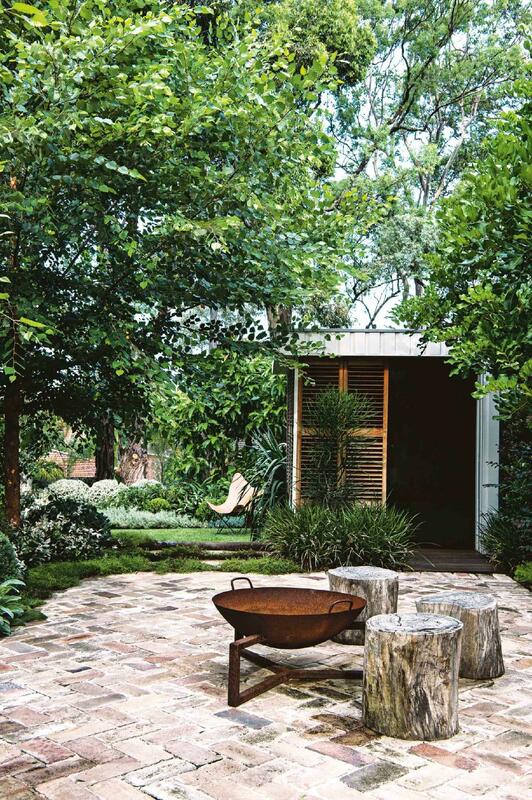 Concrete, rocks, timbers, lighting, wood are common materials that are used in a modern garden. 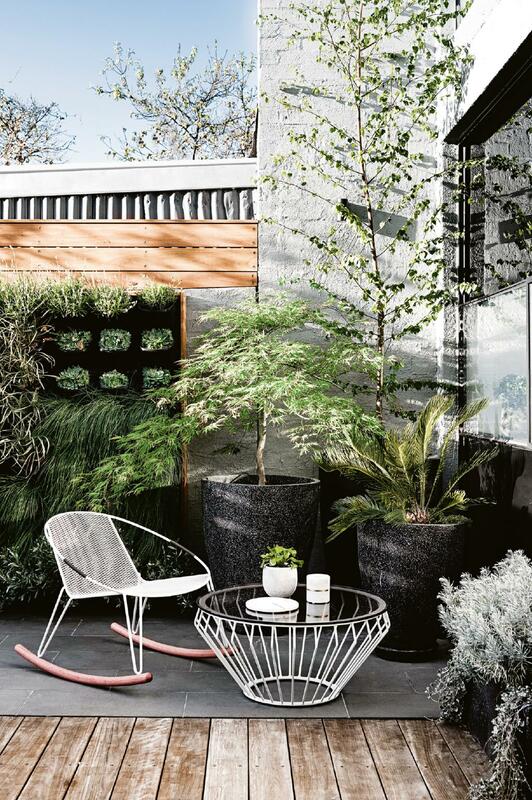 Plants are still used, albeit minimal to leave more room for function. Modern gardens are also easy to maintain. And that’s only logical since people who opt for sleek-looking gardens tend to have less free time on their hands. This provides the perfect place to relax from a busy and hectic lifestyle. Today, we're chatting with guest contributor Emma, who shares a detailed list of her top ten modern gardening tips. The idea of having a garden is fun, but if your place lacks in space or you just don’t have the luxury of time, then this guide is for you. A focal point is one of the most fundamental principles of designing. It’s not a new idea, but it’s necessary for modern gardening. Having at least one focal point is enough since you’re after a minimalistic look. An excellent focal point can be plants, statuary, a boulder, a mini waterfall, a beautiful fire pit or a pond. It can be anything as long as it serves its purpose -- to catch attention. As far as a focal point is concerned, the possibilities are just endless. The trick to an effective focal point is placement. It’s usually placed in the center to draw the eyes. The goal is to keep your garden from becoming dull and lifeless. Raised garden beds are ideal for growing small plots of veggies and flowers. The best thing about them is that you can design them however you want. Since the level of soil is raised, it reduces the need to bend over when tending to plants. This reduces back pain which makes them even more ideal for the elderly and people with mobility problems. 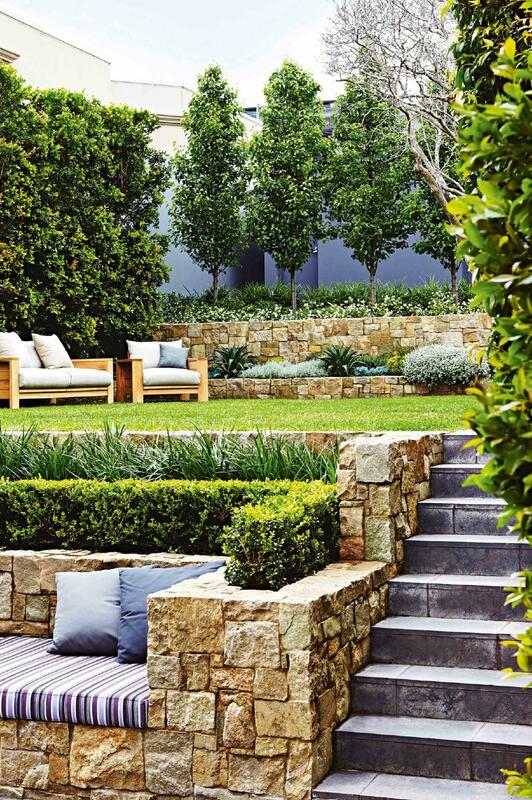 Well-built beds can also allow the gardener to sit on the edge, giving the knees a rest. Some more of their benefits are good aeration, better drainage as the soil isn’t compacted, which also makes weed control much easier. They’re a great space saver too! 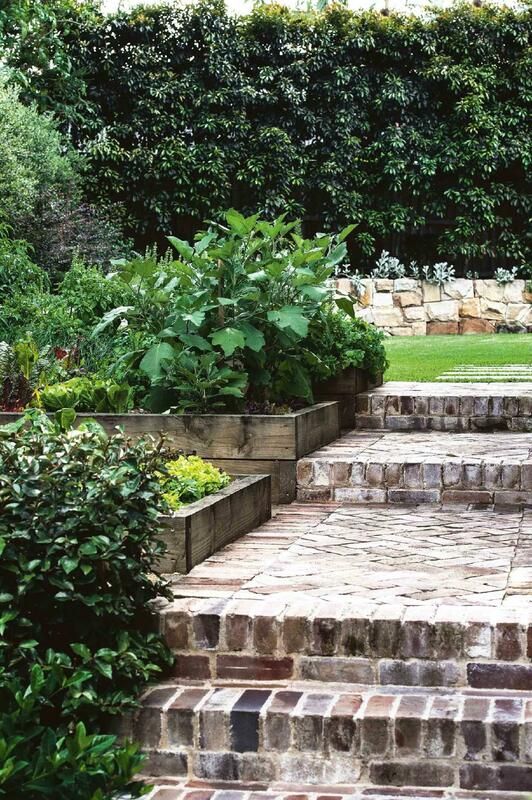 Raised beds can be built in many places, including on top of grass, concrete, or gravel. If your garden is completely paved and all lawn has been removed, using these beds is an easy way to bring greenery back to your garden. If budget is an issue, you can build your own raised garden beds instead of buying them. This is a great way to make your work in the garden feel that much more rewarding. Your potential design ideas when using gravel are endless, as it comes in a variety of shapes, colours, and sizes, so you won’t run out of options. With careful planning and the right plants, a gravel garden can thrive without frequent watering. 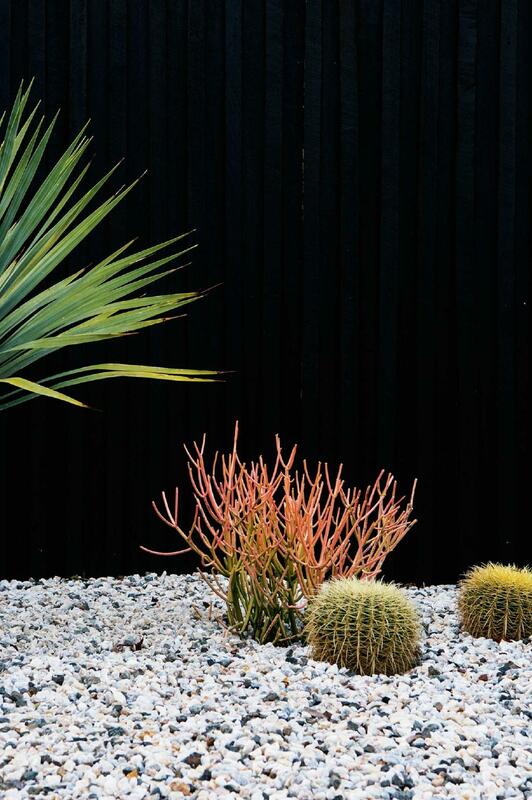 If you’re looking for a maintenance-free garden, consider using gravel. Proper lighting also plays a significant role in a modern garden, especially at night. To figure out which kind of lights you need, you have to determine what their purpose will be. Are you planning to use them to accentuate your garden? Do you need them to emphasize your focal point? 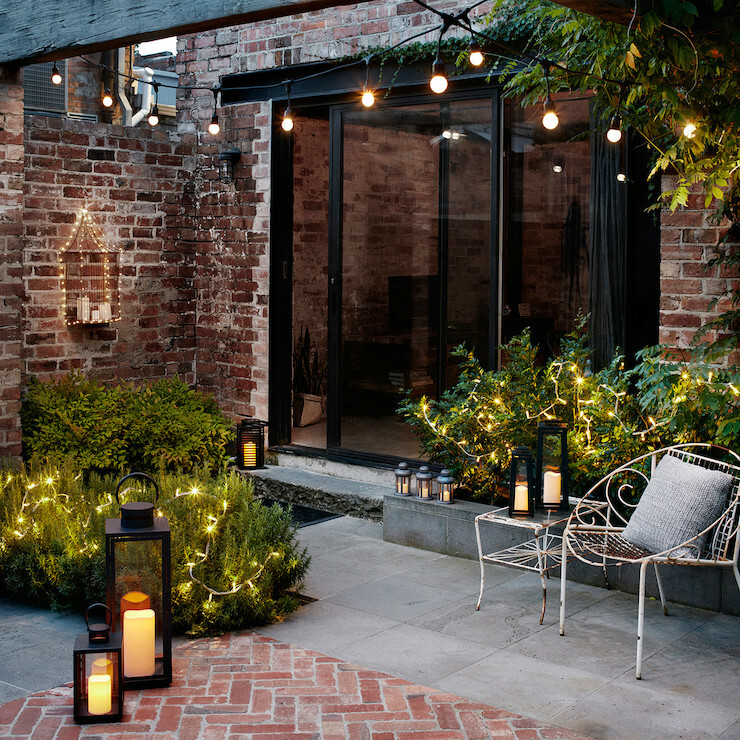 Or instead, to light the way around your garden? These are just some of the questions that you need to answer before you begin your search. There’s a lot of different types of lighting for you to choose from, depending on the theme of your garden. The most common ones are lamps, lanterns, and globe lights. If possible, go with solar-powered lights. They’re so easy to set up that you can do it yourself minus the danger of electrocution! You save a lot on your bills and ultimately, you help protect the environment. The number of urban dwellers is steadily increasing which results in less space for everything, including gardens. Still, space shouldn’t stop us from gardening. That’s probably why indoor gardening has started to gain attention. After all, growing plants, herbs, or veggies in the comfort of your home is so easy to do. 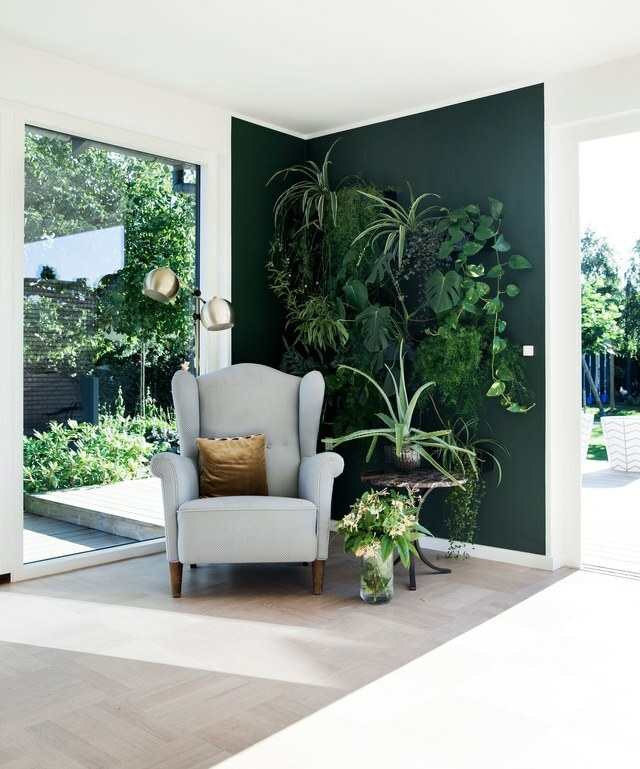 The benefits of plants are not only limited to making your home aesthetically pleasing. In fact, indoor gardening has a lot of health and social benefits that you’re probably not even aware of. Growing them in an indoor environment means less maintenance is required, you don’t have to pull any weeds, and they’re free from pests and diseases. Research has shown that plants improve people’s well-being and productivity levels. Our levels of empathy and compassion are also increased by tending to the needs of plants. An indoor garden can supply you with free and fresh vegetables for you to enjoy all year. Certain indoor plants help improve air quality by removing harmful chemicals, lowering the risk of respiratory illnesses. This concept is very much similar to raised garden beds except for one main difference. That is, containers are more movable than raised beds since they’re smaller in size. Pots are a favourite choice when it comes to container gardening. Decorative - You can choose your pots to match a theme for your modern garden, or choose quirky designs to add personality. Adding a water feature in your garden is also a hot trend these days. What’s great about water gardens is that they no longer have to be installed outdoors. Customized water features have already found their way indoors too. While the initial pond fill may require a substantial amount of water, the rest of the process is smooth sailing. It takes less water moving forward since this type of garden is self-sustaining. 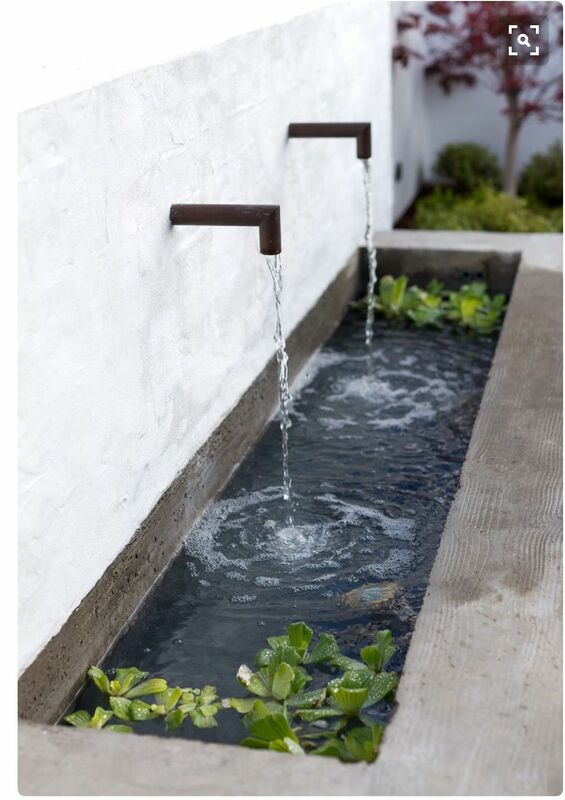 A water feature adds a great touch to your garden. You can even put fish in your pond to give it a more natural look. You get yourself a lovely water garden, and you also get to have low-maintenance pets. Fish are especially fun for kids to look after. Water also helps keep your home fresh during hot summer days, and adds humidity during the cold winter. Flowing water has been known to have healing capabilities, which is why you’d often see them in hospitals and meditation rooms. If you want to enjoy natural beauty, a place to relax, and drown the noise of busy streets, a water garden is a must have. Growing native plants in your garden is also an excellent idea. Native plants are those that occur naturally in a region in which they’ve evolved. By creating a native plant garden, you help in preserving biodiversity and it also brings heaps of benefits to you. They also attract native animals like birds, butterflies, and beneficial insects. A garden doesn’t necessarily need exotic plants to look beautiful. Native plants are so easy to maintain, acquire and can blend well with anything. When you just don’t have a place like a yard or if indoor gardening is also not an option, vertical gardening is the way to go. This type of gardening is ideal for people who have insufficient space, as vertical gardens grow upwards, hence the name. They usually make use of trellises and fences and you can even grow them on walls. 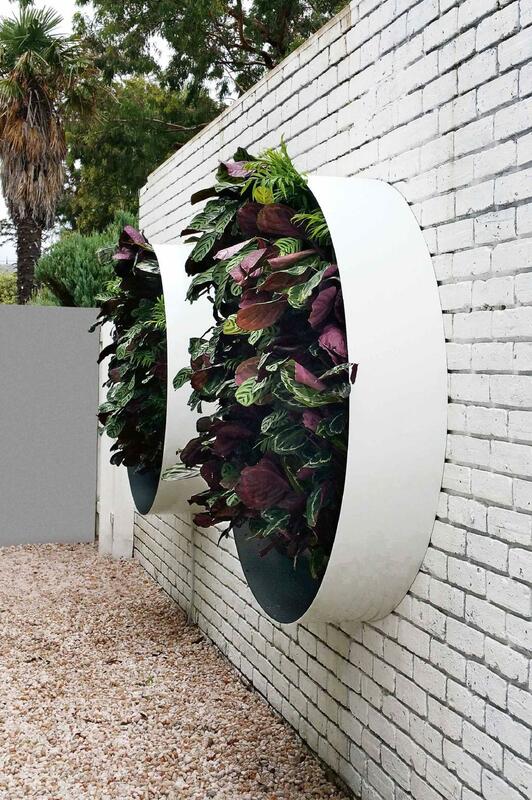 Vertical gardening is a very clever idea which is more suited to urban areas where space is scarce. When all other options are not viable, you’ll never go wrong with synthetic turf. Admittedly, some people just can't maintain a garden no matter how minimal effort is required from them. ‘So many things to do, so little time,’ is more often than not, accurate. As much as we’d like to have luscious green grass on our lawn, it can be a massive task to maintain. Mowing can already take two to three hours of your time per week. A busy person who’s juggling a lot of things could make better use of this time. Can reduce the risk of injury from slipping since they have more traction compared to natural grass. 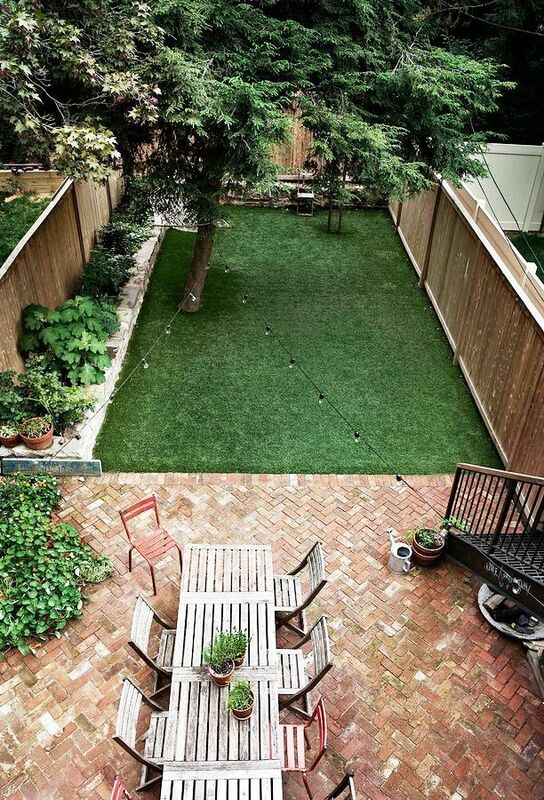 With so many benefits for your modern garden, it’s no wonder more and more people are replacing their lawns with artificial grass. Sometimes people say the phrase, “Gardening is not for everyone.” If it’s coming from someone who lacks free time or has never dabbled in gardening, they can be forgiven for thinking this. However, you can prove them wrong with the tips provided in this guide. All you need are the right tools, the right plants, a creative mind and a little effort. Till next time... create something functional and beautiful!